Hi guys! So yesterday I shared a styled Christmas setting with you that I recently put together and promised to be back with a quick how-to on making the star decorations I used. So here you have it, the full tutorial on how to create your own. You can keep it super simple like I did for the shoot or you can add more foliage, whatever goes. 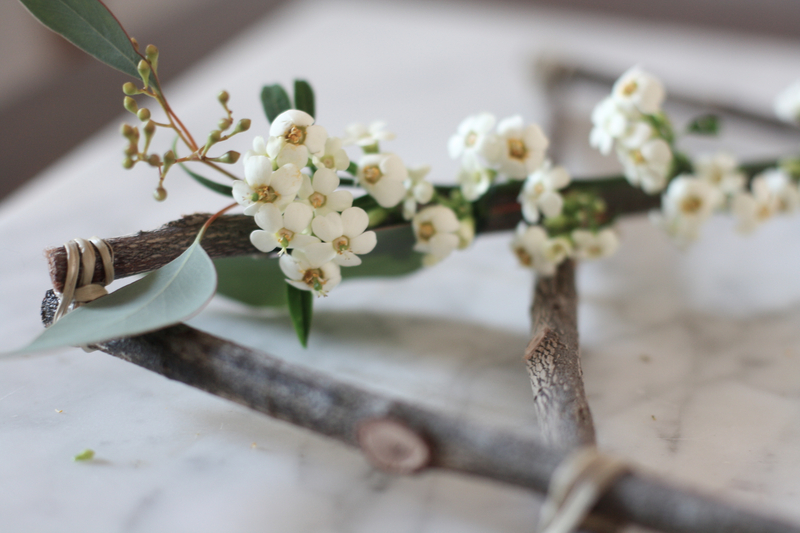 I decided to beef up the star for today’s tutorial using eucalyptus leaves and some white flowers. I used these flowers for the last wreath I made and I chose them again because their stems make them easy to attach to the star frame. 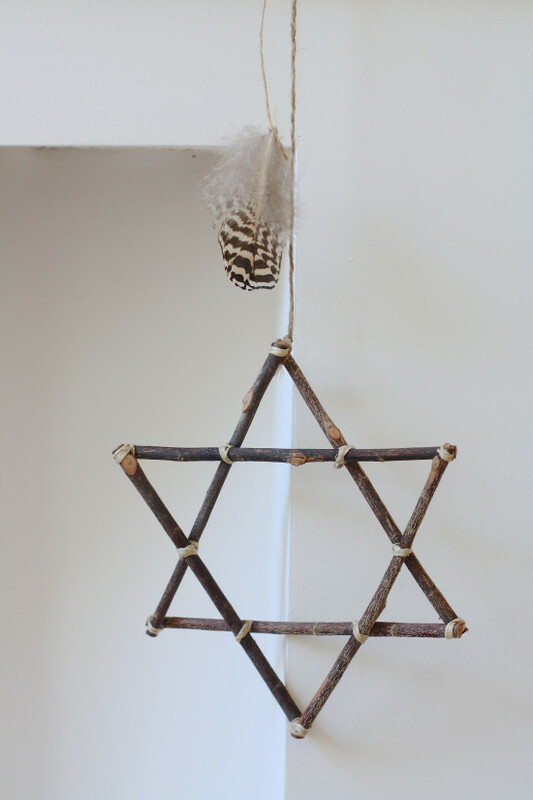 The wooden stars I used I just purchased at a home decor store locally. I saw them and thought, I could have a little fun with those! 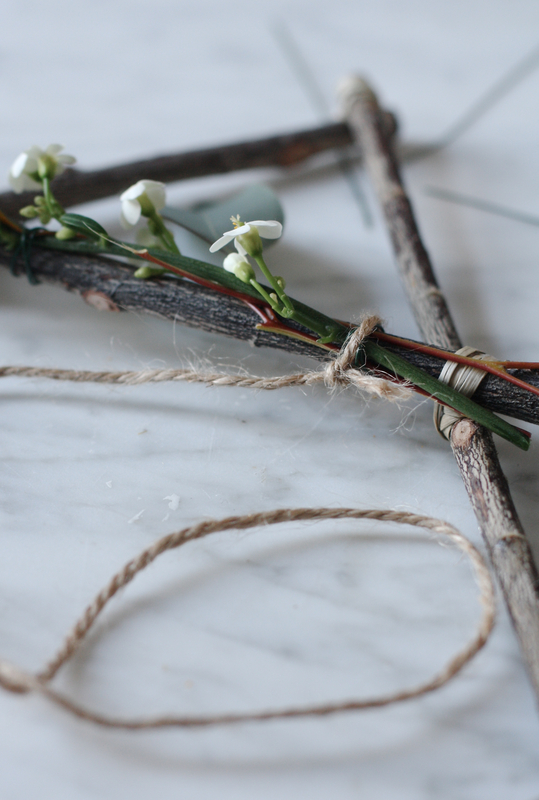 You can also create your own by foraging some twigs in your local park or forest and binding the stems together with twine. 1. 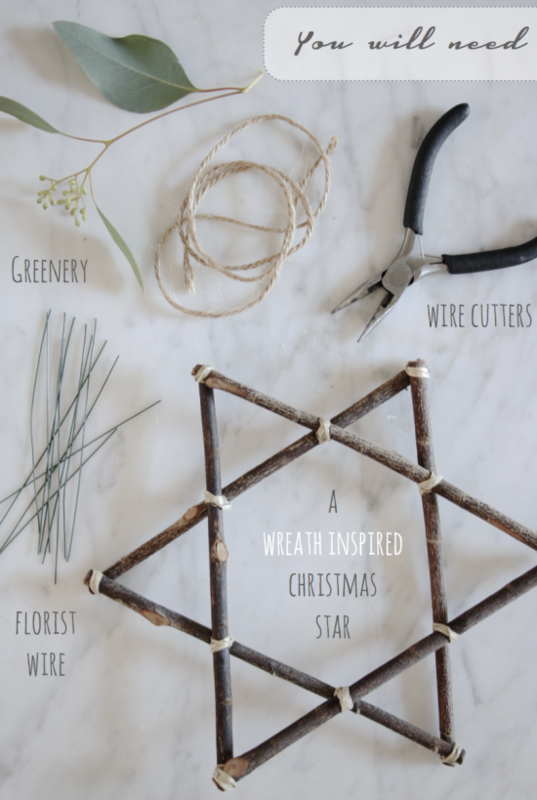 Begin by taking one or two stems of your choice and lay them along a section of your star. 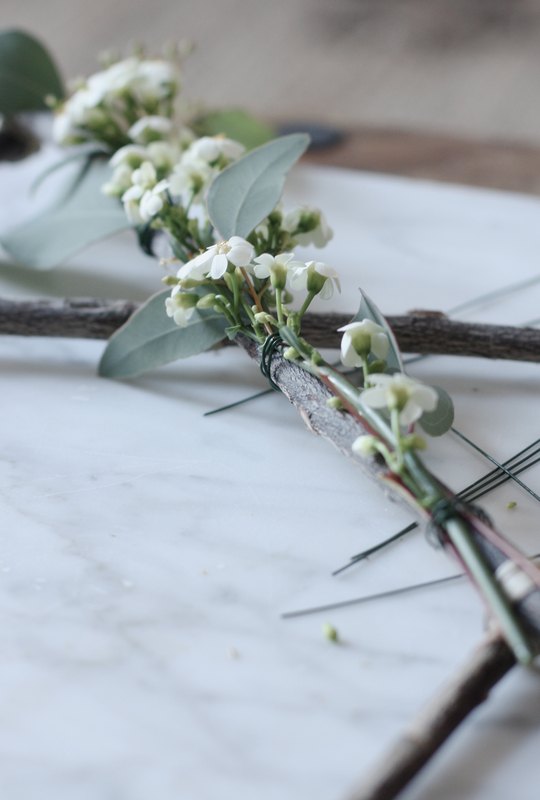 Wrap a piece of florist wire (about 6cm long) tightly around the branch and stems and squeeze the ends together with the wire cutters. 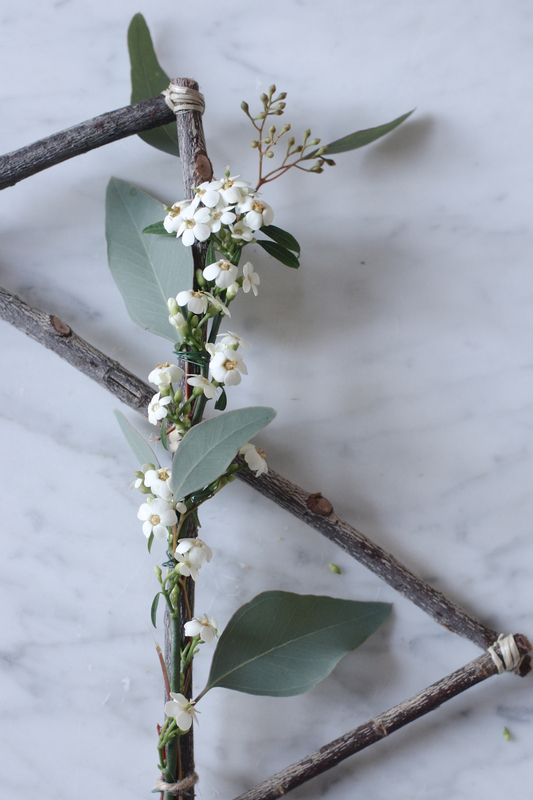 Do this a couple more times along the stem to secure the stems to the branch, laying the stems in different directions. 2. You may need to tie some twine tightly around those points with heavier foliage to help secure the stems to the branch, as shown below. 3. 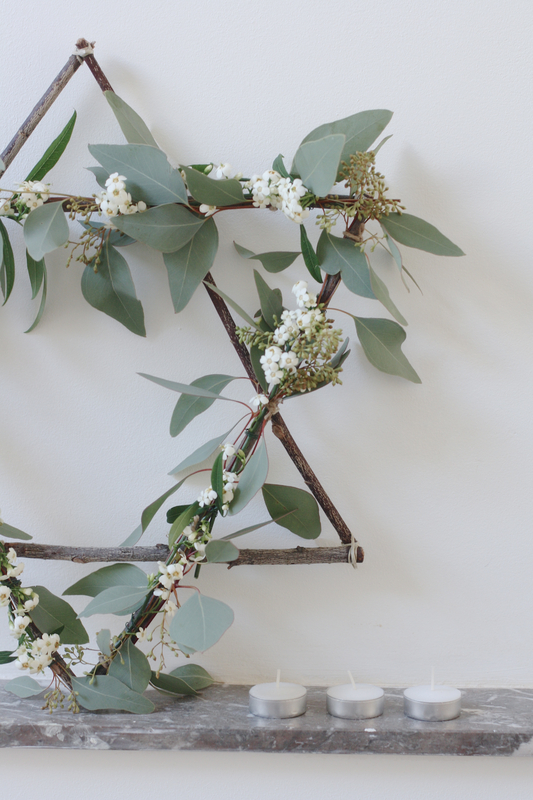 Continue along the frame of your star, adding stems and foliage here and there where desired. 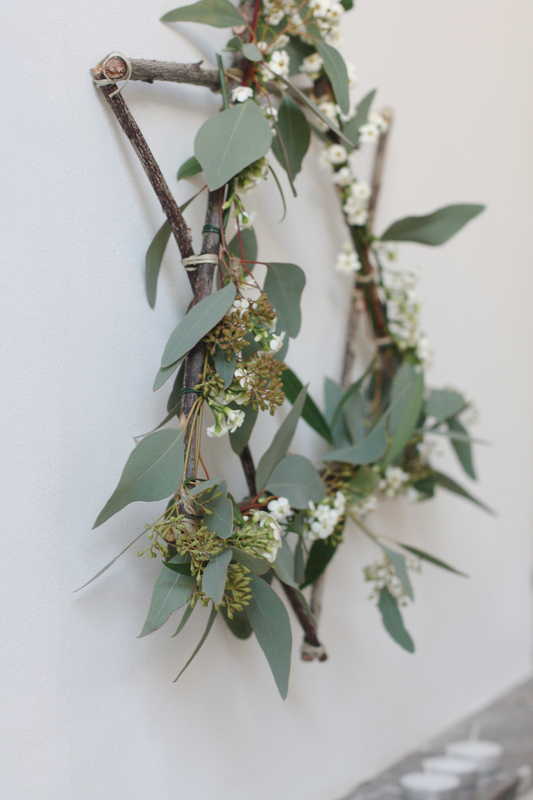 You can use previously wrapped wire points to stick more foliage into, and then secure with twine. Just layer the foliage as you go until you’re happy with how it looks. Well, I’m signing off for a few days to relax and spend time with my two crazies. Have yourselves a merry little Christmas and see you back here soon. In the meantime, head on over to Decor8 and check out the sweet little cottage I featured for thins month’s Homes With Heart column. HUGE LIKE!! DOes it also work with the tape technique? Thanks Louise 🙂 If you tape the stems to the branch, it won’t look very nice as you’ll see the tape. But, you could use the tape if you like to first bunch and tape stems together like I did in my last wreath before wiring it to the branch, but it’s not necessary. Have fun with it, and wishing you a merry Christmas! 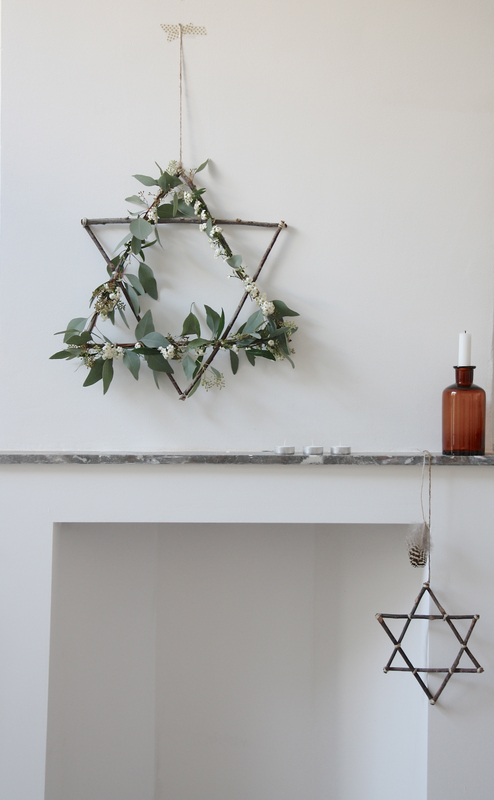 LOVE this idea for Hanukkah, so natural and fresh.